PYRAMID BUILDERS AND DEVELOPERS is an EXCELLENT builder. It has 5 on-going projects with total inventory value of Rs.2488 Cr and 1 completed Projects. We, the Pyramid Builders and Developers, are into creating superior constructing projects using advanced technologies with a passion for excellence in providing beautiful homes to our customers, include the cream of society in Bangalore. There are many projects which we handle, of which many of them are completed and many of them are under progression. Hence we heartly invite you to have glances at our projects and have the great visual treat by seeing our quality constructions. Our one more spectacular feature, on which we like to bring into your focus is that we are the best, according to our customers quotes and hence we assure the maximum level of satisfaction to all our future customers too, for ever better relationship. 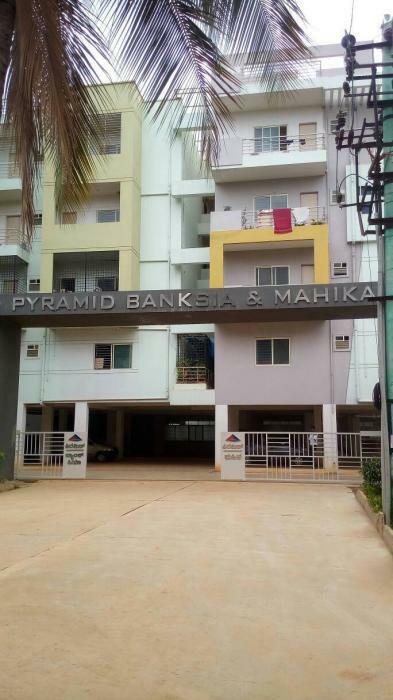 Established in the year 1998, Pyramid Builders & Developers is a name instantly identified with the real estate industry in Bangalore. Over the years, we have constructed several apartments and have earned an excellent reputation for elegantly designed and crafted developments of high quality apartments. We are counted among the first names of quality constructors, providing beautiful homes to our customers. Designed by eminent architects, our buildings are well planned considering Vaastu aspects within a committed time frame. Our legend of constructions process infinite detailing and painstaking craftsmanship goes into every stage of construction. Our constructions are built to industrys best standards, and by using standard quality and approved construction materials.